Evgeny Kissin, Kremerata Baltica. EMI 50999 6 26645 2 3. 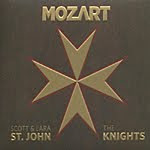 The idea on this disc is to contrast two of Mozart's late piano concertos, Nos. 20 and 27, to show how they demonstrate, on the one hand, the composer's darker dispositions and, on the other, his lighter, final words on the subject. The idea works pretty well, thanks in large part to solo pianist and conductor Evgeny Kissin and the chamber orchestra Kremerata Baltica. Like Mozart, Kissin was a child prodigy, Kissin giving his first public recital when he was about ten and recording his first album when he was around thirteen. Here, he shows us his affinity for Mozart in two creative yet loving interpretations. When he was younger, Kissin struck me as spending more time dazzling listeners with his magic finger work than in delving too deeply into the music he was playing. Now that he is older, approaching forty, his maturity and experience materialize in more thoughtful and heartfelt performances. 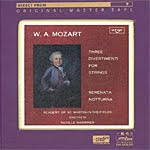 These Mozart recordings are a good example. In the Piano Concerto No. 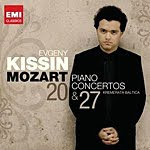 20 in D minor, K466 (1785), Kissen establishes the work's ties to Mozart's later Don Giovanni (1787) from the opening notes, all brooding and threatening. But then when the piano enters, it's gentle and soothing, at least until it catches up with the more menacing tones of the first few minutes. After that, Kissin alternates Mozart's more austere and rhapsodic moods. Interestingly, the booklet note says that Kissin does not improvise the extended cadenza at the end of the first movement as Mozart undoubtedly would have done but, instead, uses Beethoven's popular version. Still, Kissin makes the cadenza sound improvised in its spontaneousness and spark. The slow movement Romanze is really the heart of the Concerto, however, and Kissin handles it with great respect, if not quite wringing from it the utmost pathos that, say, Curzon (Decca) did. Nevertheless, the overall effect works nicely enough, and one comes away properly moved by the music. A somewhat ambiguously sparkling Allegro concludes the piece in an assumed carefree manner. Piano Concerto No. 27 in B flat, K595 (1791), was Mozart's final piano concerto, and in comparison to No. 20 it is lighter and more lyrical, but it is also perhaps a touch more melancholy. At least, that's the way Kissin sees it. Kissin takes all the movements a bit more quickly than many of his rivals yet never lets the music's inner beauty become obscured. Even the jaunty little final movement has an air of wistfulness about it. These are perceptive and original interpretations by Kissin that should not go unnoticed. EMI recorded the two concertos in Munich in 2008, capturing a pleasantly ambient acoustic that perfectly suits the music; it's slightly resonant without in any way hampering midrange transparency. There is ample stage depth for the relatively small ensemble accompanying Kissin, with a realistic piano sound, reasonably wide dynamics, a modest impact, and good, clean definition and air. It's probably easier to describe the sound by what it's not: It's not bright, hard, or edgy nor is it unnecessarily warm, soft, clouded, or fuzzy. For this music, it is just right. Also, Fountains of Rome, Festivals of Roman. Col. Lowell E. Graham, the U.S. Air Force Band. Klavier K 11182. This is a disc of contrasts: On the one hand we have very familiar music, Respighi's Pines, Fountains, and Festivals of Rome; on the other hand, we find the music in unique transcriptions for wind band by Lawrence Odom. The result is to hear something old made new again. The odd thing is that after listening for a few minutes, you don't even notice the strings missing, the music actually lending itself so nicely to a wind band. 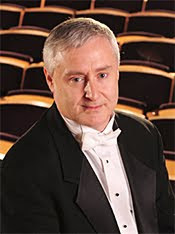 Moreover, maestro Lowell E. Graham and his U.S. Air Force Band never try to overdramatize the programmatic content of the pieces, so the composer's intentions come across in a fairly straightforward manner. Italian composer and musician Ottorino Respighi (1879-1936) wrote his Roman Trilogy after studying with Nikolai Rimsky-Korsakov, probably where he got the idea of picturesque program material. 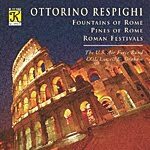 Although he wrote the Fountains of Rome first (1917), the disc begins with the Pines of Rome (1924), possibly because this piece is the most-popular work Respighi ever composed. The Pines opens with a big splash of color in "The Pines of the Villa Borghese." Then the second movement, "Pines Near a Catacomb," is appropriately somber, even gloomy. The third movement, with its song of the nightingale, is a prelude, really, to the big finale, the "Pines of the Appian Way," which is probably the single most-famous thing Respighi created. We hear the march of ancient Roman soldiers as they return home victorious in battle once again, the music mounting in urgency moment by moment until it reaches a fevered climax. Graham makes the most of it, as do the audio engineers. The Fountains of Rome are altogether more festive and, for me, more vivid and distinctive than the Pines. Each of the four movements describes a celebrated fountain in the city, the music playing without a break. We hear noises of the country, noises of the city, noises of mystical creatures, and noises of crowds, among many other things, the music finally fading away into silence as night falls. The Roman Festivals (1929) seem to me the least-successful parts of the trilogy. Respighi appears to have been trying to top himself in the work, and the music becomes rather hectic and bombastic at times. Still, Graham holds it together pretty well, making it more of a single piece than we sometimes hear. Recorded in 1997 and originally released in 2002, Klavier now makes the Roman Trilogy available on this 2010 disc, taken from the 24-bit digital master. The first thing one notices about the sound is that it can be somewhat bright and forward in places like the opening of the Pines of Rome. I suppose we should expect that from a wind band, yet the bulk of the midrange is fluid and smooth, so if you can make it through the more raucous sections like those opening flurries, the sound is quite good. Although the "Catacombs" might have benefitted from a deeper bass, the disc makes up for it in the "Pines of the Appian Way" and in the big low-end thumps of the Roman Festivals. Like most wind recordings, this one is generally warm and mellow, with some nicely articulated highs. The National Philharmonic's 2010-2011 season at the Music Center at Strathmore kicks off with Mahler's "Resurrection" Symphony. North Bethesda, MD, August 24, 2010 - Maestro Piotr Gajewski will lead the National Philharmonic in its first concert of the 2010-2011 season at the Music Center at Strathmore on Saturday, October 9, 2010, at 8 pm. The concert will feature one of Gustav Mahler's most renowned works, the Symphony No. 2 in C minor, known as the "Resurrection," and showcase soprano Iwona Sobotka, mezzo-soprano Magdalena Wór, and the National Philharmonic's nearly 200-voice, all-volunteer chorale. Composed during the years 1888-1894, Mahler's Resurrection Symphony premiered in 1895 and went on to become one of the composer's most recognized and successful works during his lifetime. It is his first major work that expressed his lifelong view of the beauty of afterlife and resurrection. Mahler devised a narrative program for the work, in which the first movement represents a funeral and asks questions such as "Is there life after death? "; the second is a remembrance of happy times in the deceased's life; the third presents a view of life as meaningless; the fourth is a wish for release from life without meaning; and the fifth ends with hope for everlasting, transcendent renewal. Soprano Iwona Sobotka achieved instant international acclaim as the Grand Prix winner of the Queen Elisabeth International Music Competition of Belgium in 2004. Other awards include first prizes at the East and West Artists International Auditions in New York, the Warsaw Polish Art Song Competition, and in the Bydgoszcz Paderewski Competition. She has performed all over Europe, in the Americas and Japan, in such prestigious venues as the Wiener Konzerthaus, Carnegie Hall, the Palais de Beaux Arts in Brussels, the Auditorio Nacional in Madrid, the Palau de la Música in Barcelona, Suntory Hall in Tokyo, and with the St. Petersburg Philharmonic. Ms. Sobotka has worked with such distinguished conductors as Sir Colin Davis, Sir Simon Rattle, Sylvain Cambreling, Thomas Hengelbrock, Walter Proost, Jerzy Maksymiuk and Antoni Wit. She has performed with the Orchestre de l'Opéra national de Paris, Orchestre Philharmonique du Luxembourg, Orchestra della Fondazione Arturo Toscanini, Real Orquesta Sinfónica de Sevilla, Staatskapelle Weimar, St. Petersburg Philharmonic Orchestra, and with all the major Polish orchestras. Ms. Sobotka has performed at various music festivals, such as Musical Olympus in St. Petersburg, Kraków's Festival of Polish Music, the MDR Music Summer festival in Saxony and the Dubrovnik Summer Festival. She is also regularly invited to the Mecklenburg-Vorpommern Music Festival where she was awarded the 2007 audience prize. She graduated from the Fryderyk Chopin Academy of Music in Warsaw and continued her studies with renowned artist and pedagogue Tom Krause at the Escuela Superior de Música Reina Sofía in Madrid. Mezzo-soprano Magdalena Wór was the first-place winner of the Heinz Rehfuss Vocal Competition (2005), a Metropolitan Opera Competition national finalist (2002), a winner of the Mozart Society of Atlanta Competition, an alumna of the San Francisco Opera's Merola Summer Opera Program and Chautauqua Music Institution's Marlena Malas Voice Program, and St. Louis Opera Theatre's Gerdine Young Artist Program. Ms. Wór was a member of the Domingo-Cafritz Young Artist Program at the Washington National Opera from 2006-2008. She has appeared with the Metropolita Opera, National Symphony Orchestra, Atlanta Symphony, and New Trinity Baroque. 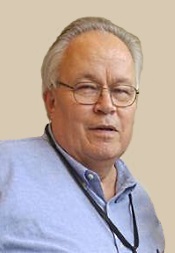 A polish native, Wór has lived in the United States since 1991. She received her Bachelor's and Master's degrees in vocal performance from Georgia State University. The program will also include Andreas Makris' Aegean Festival Overture, the composer's reflections on his Greek origins, and Mieczysaw Karowicz's A Sorrowful Tale, a symphonic tone poem. A free pre-concert lecture will be offered at 7 p.m. in the Education Center at the Music Center at Strathmore. To purchase tickets to National Philharmonic's concert on October 9, 2010 at 8p.m. at the Music Center at Strathmore, please visit nationalphilharmonic.org, or call the Strathmore ticket office at (301) 581-5100. Tickets are $32-$79; kids 7-17 are FREE through the ALL KIDS, ALL FREE, ALL THE TIME program (sponsored by The Gazette). Also, A Somerset Rhapsody; The Perfect Fool; Suite No. 2 for Military Band; St. Paul's Suite; Egdon Heath; Hymns from the Rig Veda; A Choral Fantasia. Sir Adrian Boult, London Philharmonic Orchestra; Norman Del Mar, Bournemouth Sinfonietta; Andre Previn, London Symphony Orchestra; Eric Banks, Central Band of the Royal Air Force; Sir Malcolm Sargent, Royal Philharmonic Orchestra; Sir Charles Groves, London Philharmonic Orchestra; Janet Baker, Ian Partridge, Imogen Holst, English Chamber Orchestra. EMI 50999 6 27898 2 (2-disc set). For a lot of us, British composer Gustav Holst (1874-1934) may seem like a one-shot wonder. Beyond his orchestral suite The Planets (1914-16), our remembrance of his works may get a little fuzzy. The fact is, the man composed over 200 pieces of music. This current two-disc collection from EMI gives us a representative sample of the man's output, with, of course The Planets as the centerpiece. 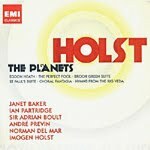 Let's start with The Planets, done up in fine style by the man who premiered it so many years before, Sir Adrian Boult. Sir Adrian recorded the work a number of times, the one we get here being his final word on the subject, coming around his ninetieth year. Needless to say, he brings to the subject a lifetime of experience, and it shows in a relaxed, unhurried, yet thoroughly authoritative performance. Holst's idea in The Planets was to characterize each of seven movements in the suite after planetary signs of the zodiac. I think people like program music because the tunes allow their imagination to soar, and The Planets does just that. Under Sir Adrian, "Mars, the Bringer of War" is urgent, a little menacing, and certainly energetic. "Venus, the Bringer of Peace" is, indeed, serene and lyrical. "Mercury, the Winged Messenger" is properly jaunty and playful, a perfect lead-in to "Jupiter, Bringer of Jollity," which Sir Adrian never rushes but treats like a big, burly, loving uncle. Think of Dickens's Ghost of Christmas Present here. Then comes the otherworldly "Saturn, Bringer of Old Age," always Holst's favorite part of the suite; followed by "Uranus, the Magician," my own favorite part and well characterized by the conductor; concluding with "Neptune, the Mystic" and its wordless chorus slowly fading away uniquely into silence. The accompanying works largely demonstrate Holst's facility using English folk music in his works, starting with A Somerset Rhapsody and the Brook Green Suite, pieces based almost entirely on folk tunes and beautifully realized by maestro Norman Del Mar and the Bournemouth Sinfonietta. Next are The Perfect Fool, music from Holst's opera arranged into a suite, and Egdon Heath, a tribute to the darkly austere moods of Thomas Hardy, both done by Andre Previn and the London Symphony. Then there are the changes of pace: the Suite No. 2, again folk songs but done up for military band and realized here by Wing Commander Eric Banks and the Central Band of the Royal Air Force; followed by the St. Paul's Suite, which Holst wrote for the orchestra of the school where he was Director of Music, played by Sir Malcolm Sargent and the Royal Philharmonic. The program ends with two choral pieces: hymns from the Rig Veda (Group 2), performed by Sir Charles Groves, the London Symphony Chorus, and the London Philharmonic Orchestra; and A Choral Fantasia, performed by Janet Baker, Ian Partridge, the Purcell Singers, and the English Chamber Orchestra lead by the composer's daughter, composer and conductor Imogen Holst. EMI recorded the main item, The Planets, with the London Philharmonic in 1978, not long after Sir Adrian's previous stereo recording of it with the New Philharmonia, also for EMI. The sound is typical of what we came to know from Boult's LPO recordings: It's warm, a little soft most of the time, slightly harsh in the loudest passages, with a modest degree of low-end overhang veiling the midrange. Deepest bass is fine and dynamics are wide, but the recording as a whole is not quite in the demonstration class, the overall effect one seemingly designed for pleasant, easy listening rather than anything truly exceptional. The other items, which range in recording dates from 1964 to 1984, vary somewhat in sonic quality but mostly sound good, with the Previn/LSO recordings standing out for their clarity and impact. Clio Gould, solo violin; Nicolae Moldoveanu, Royal Philharmonic Orchestra. RPO 026 (2-disc set). According to most authorities, in 1875 Petrovich Begiche, director of the Moscow Imperial Theaters, commissioned Peter Tchaikovsky (1840-93) to write the score for the ballet we now know as Swan Lake. Premiered in 1877, it was the first of the composer's big three ballets, with The Nutcracker and Sleeping Beauty following some years later. Today, we take for granted that Swan Lake is one of the greatest of all ballets, possibly THE greatest, but initially it was a flop. The dancers complained they couldn't dance to the music, the conductor couldn't properly handle the tunes, and critics generally panned it. It would not be until 1895, several years after the composer's death, that the ballet's popularity would begin to soar in a revival, and it is this revised score upon which the producers of the present CD set based their recording. In any case, it is good to have another performance of the complete ballet in so energetic an interpretation and in such robust sound. The story behind Swan Lake purportedly began as a little ballet called The Lake of the Swans that Tchaikovsky wrote for his family in 1871. Then, when he received the commission, Tchaikovsky added Russian and German folk tales for his sources, the general plot based on a story by the German author Johann Karl August Musäus. One of the salient points about Tchaikovsky writing it is that critics now consider it the first ballet composed by a writer who had previously worked almost exclusively in the symphonic field. Thus, if Swan Lake sounds more "symphonic" in structure, composition, and themes than earlier ballets, there is a reason. Swan Lake tells in four acts the story of a young man, Prince Siegfried, whose mother insists that it's about time he find a bride and marry. No sooner said than he chances upon a beautiful young woman, Odette, with whom he falls in love. However, as fate would have it, an evil magician has put her and her attendants under a spell whereby they may be human at night but turn into swans by day. Naturally, it is only a true and unfailing love that can save her. Ain't it always the way? Romanian conductor Nicolae Moldoveanu is gentle and lyrical when necessary at times and just as melodramatic and histrionic as you'd expect at other times. Moldoveanu maintains zippy rhythms throughout, building a good deal of excitement while displaying a firm control of the ballet's poetic sequences, especially the waltzes. However, as delightful and impassioned as the maestro and his Royal Philharmonic players are, they never quite match the stylish polish of Andre Previn and the LSO (EMI) or the smooth refinement of Charles Dutoit and the Montreal Symphony in their complete and competing sets, or the outright glamour and class of Anatole Fistoulari and the Concertgebouw (Australian Decca) in their disc of highlights. Interestingly, Dutoit is currently the Music Director of the Royal Philharmonic, so he probably handed off the conducting duties in Swan Lake to Moldoveanu because he had already recorded it and didn't feel the need to compete with himself. In any case, Moldoveanu's performance is strong, sturdy, and theatrical. If it loses a little something in the svelte or cultured departments compared to its competitors, it makes up for it in power and presence. Recorded in 2009 at the RPO's home, Cadogan Hall, the sound is remarkably dynamic, with plenty of impact at every turn and a big bass drum that dominates many of the scenes. Indeed, it is the drum that may delight some audiophiles yet infuriate some music lovers (or vice versa). The drum adds to the overall realism of the recording but can also be a little distracting. Otherwise, we get a warm, ambient acoustic, a reasonably transparent midrange (with some glorious trumpets), a wide stereo spread, and a modestly extended stage depth. 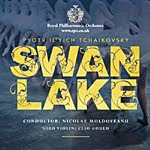 This new Swan Lake makes a welcome addition to a small and exclusive group of recordings that fully illuminate the ballet's score. Semiramide, La gazza ladra, William Tell, La Cenerentola. HDTT HQCD168. 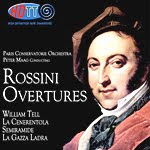 Back in the early Seventies when I first started reviewing music for various print publications, I recall recommending several collections of Rossini overtures on LP, most of which I would still recommend today: Fritz Reiner and the Chicago Symphony on RCA, Piero Gamba and the London Symphony on London-Decca, Peter Maag and the Paris Conservatory Orchestra on London-Decca, and the then-newly recorded set with Neville Marriner and the Academy of St. Martin-in-the-Fields on Philips. Since that time, we have had newer albums that are quite fetching from the Orpheus Chamber Orchestra on DG, from Chailly and the National Philharmonic on Decca, and from Roger Norrington and his period-instruments group, the London Classical Players, on EMI, among others. I mention this at the outset because these recordings are not only still with us but one can find several of them in audiophile editions. The Gamba disc, for example, is now available from JVC on an XRCD remastering, and the Marriner is available not only in a complete three-disc set from Philips but in a single-disc compilation from PentaTone Classics remastered on SACD. But until the current appearance of the Maag recording from HDTT (High Definition Tape Transfers), I do not believe it ever appeared on CD. If it did, it escaped me, to be sure. Nevertheless, absence, they say, makes the heart grow fonder. And when this 1958 Maag recording finally arrived on disc in such good shape as we find it here, one can feel not just fondness but outright joy. The contents of the original LP were always rather meager: a scant four overtures, about forty-two minutes total. But it was never the quantity that counted but the quality, and these interpretations were, and still are, among the best you will find. Things begin with Semiramide (1823), followed by Guillaume Tell (William Tell, 1829), La gazza ladra (The Thieving Magpie, 1817), and La Cenerentola (Cinderella, 1817). Now, you'd think Maag and his Paris Orchestra would approach the scores the way most conductors do: gung-ho and hell bent for leather. He doesn't. In fact, Maag displays a good deal of reserve, calculating his interpretations for the biggest payoff. For instance, in William Tell he keeps the opening sections in check, and then he builds the final segment into a most-exciting whirlwind, the conclusion carrying you away. Or in La Cenerentola after a few minutes of careful introduction, he takes you off to the races, almost leaving you breathless. And so it goes. But let's talk about the sound. HDTT, as you may recall, is a small audiophile company specializing in transferring older recordings on commercially obtainable reel-to-reel tapes to high-quality CD-R's (and downloads). Their focus is to bring back forgotten classical titles in audiophile sound and to issue titles that no one has released in a long time. In the case of the Maag Rossini overture recording, they have a monopoly on the situation because you won't find Maag's overtures anywhere else. Nor would you want to, they are so good here. This is the thing: When I first bought the Maag recording on LP, it was in the late Sixties, and Decca had already by then reissued it on their budget label, an American London Stereo Treasury as I remember. No matter, it sounded fine, with a big, pounding bass that would shake the rafters. Then I ordered the Decca LP from England and the difference in sound quality amazed me. Gone was the big bass, replaced by a cleaner midrange. All I could figure at the time was that apparently Decca had fiddled with the frequency response for the American market, upping the bass and softening the high end. However, while I greatly appreciated the Decca sound, frankly, I rather missed the bass. In any case, I sold both vinyl discs many years ago in anticipation of the recording finding its way to CD, which, of course, never happened. Until now. So when HDTT sent me their remastering of the overtures, I had not heard the performances in well over twenty years. Was I disappointed? Not on your life. HDTT was kind enough to send me the recording in two formats to review: one burned to a gold disc, the other to an HQ disc. In both instances (from a London-Decca 4-track tape), the sound is very dynamic, with a huge range and enormous impact; it has a solid, but not overly prominent deep bass; and it has a clear midrange response and an extended treble. If one listens at abnormally loud levels, one may notice a slight tape hiss in the background, a condition inherent to almost all tapes of fifty-plus years ago. At normal listening levels, though, even in the quietest passages, the tape hiss is practically inaudible. To the most sensitive ears, one might also detect a wisp of high-end distortion or a smidgeon of pre-echo, also inherent, no doubt, to the original tape and almost undetectable. In any case, the HQCD sounded best to me: smoother, firmer, and more stable than the sound on gold. The differences are not huge, but they are enough for the audiophile to probably opt for the HQ audio. What we get is some of the purest sound around, demonstration material if there ever was any. You want to show off your audio equipment? These Rossini overtures (take your pick, but I'd start with La gazza ladra) will knock your listener's socks off (if that's their idea of a good time). Wonderful music; wonderful renditions of the music; wonderful sound. As usual with HDTT, the company makes the music available in a variety of formats for a variety of pocketbooks, from no-frills downloads to gold CD's to HQCD's. For details, visit http://www.highdeftapetransfers.com/storefront.php. Also, Piano Sonata No. 28. 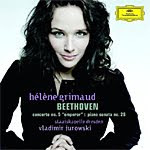 Helene Grimaud, piano; Vladimir Jurowski, Dresden Staatskapelle. DG B0009840-02. The booklet note describes pianist Helene Grimaud as "among the most sagacious of today's keyboard artists, a philosopher at the concert grand." It goes on to say that her interpretation of the Beethoven Fifth Piano Concerto is "a journey of the soul through the vales of worldly despair and over the peaks of ideologies. A musical journey to a world viewed from a melancholic interior--and a journey in time from Beethoven's world to ours." She herself says of the Concerto that it is a work of "philosophy cast in music, a philosophy that sets out to neutralize human contradictions." Phew! That's a lot for any piece of music to mean and a lot for any musician to convey. Does Ms. Grimaud live up to the rather overwrought prose? Well, she certainly plays with dazzling virtuosity. She must have ten fingers on each hand. And there is no denying that her performance of the Concerto is thrilling in the extreme. But I also admit to finding the interpretation a bit over-driven in parts, leaving one almost breathless at the end. Interesting, too, that a performer described as a "philosopher" would produce something that appears more grandiose than other pianists' readings. And it's not that her realization is any faster than other performances. It just seems that she sometimes pushes it harder than most others do, despite some lovely poetic moments, especially in the slow movement. Frankly, though, I much preferred her rendition of the accompanying Piano Sonata No. 28, where her natural lyricism holds sway. Nor am I sure that DG did her any favors with the sound. The piano seems too clangy and thumpy, and the Dresden Staatskapelle appears too thin and bass shy alongside her. To be certain it wasn't just my ears that were faulty on the night I listened, I put on Arrau (Philips), Ashkenazy (London), Kovacevich (Philips), Perahia (Sony), and Kempff (DG) for comparison, and those recordings all sounded warmer, fuller, better balanced, and more realistic to my ears. Anyway, while Ms. Grimaud produces both an exhilarating, grandiloquent, yet often lyrical rendition of the "Emperor" Concerto, for my money it is maybe not a performance for the ages. AKA, Music for a Royal Wedding. Ensemble 1700 Lund. CPO 777 589-2. What is this music? According to the booklet note, "During former times a long ceremony of festive character in joyful anticipation of the imminent consummation of the marriage was held at royal weddings prior to the retirement of the royal bride and groom to the intimacy of their bedchambers. Such ceremonies called for a musical frame to go along with them." 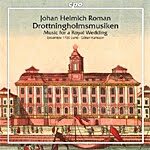 The Drottningholm Music (or Music for a Royal Wedding) by Swedish Baroque composer Johan Helmich Roman (1694-1758) fulfilled this calling, his writing the piece for the wedding of Princess Lovisa Ulrika and Duke Adolf Fredrik at Drottningholm Palace in 1744. The music itself divides into twenty-five brief sections, generally alternating fast and slow movements: dances, minuets, marches, processionals, and the like, lasting in total a little over an hour. Although some of it seems quite solemn for so festive an occasion as a wedding, maybe even a little sad, most of it is joyous and happy enough. There are even a few movements that remind one of Roman's contemporary, George Frideric Handel, especially the series of Allegros starting at track twenty that predate Handel's Music for the Royal Fireworks by several years yet sound remarkably like it. Is Roman's Music for a Royal Wedding a great musical composition? I doubt it, and after the first fifteen or twenty minutes, it does all tend to sound alike. Perhaps that's not a fair assessment, however, as the eighteenth-century listener would probably not have heard the music in a single, continuous performance but in different phases for various parts of the wedding ceremony. Perhaps that is how one might best listen to the music today, in fact. I am no purist, so I would not have a problem choosing seven or eight favorite selections from among the twenty-five and programming my CD player to create a personal suite from the album. Now, who are the Ensemble 1700? They are a period-instruments orchestra, about twenty players strong, formed in 2005 by oboists Per Bengtsson and Lars Henriksson, lead by harpsichordist Goran Karlsson, and based in Lund, Sweden. They are a stylish group who play with a good deal of devotion to the music. If they don't always seem as flamboyant or outgoing as some other period-instruments bands, they more than make up for it with their ensemble precision and individual virtuosity. By the time they have finished, you will have to admit they've made a grand and eloquent noise. As most of us have heard so often from the CPO label, the sonics are warm and resonant without being in the least bit soft or fuzzy, and they come through sounding detailed and clean without being hard or edgy. There is also a fine stereo spread involved and reasonably good midrange transparency, as we might expect from a small ensemble. There is not, however, a lot of air around separate instruments nor much sparkle at the high end. In addition, I would have appreciated hearing a greater dynamic range from the group. Nevertheless, these are minor quibbles in sound that is otherwise smooth and agreeable to the ear, despite the period instruments on display. Music of Miaskovsky, Scriabin, Schnittke, Prokofiev, and Rachmaninov. 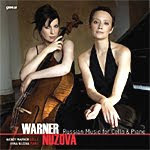 Wendy Warner, cello; Irina Nuzova, piano. Cedille CDR 90000 120. Fans of Cedille Records don't need me to tell them that three major elements characterize the company's products: (1) Music that performers don't often play in public and other companies don't often record but which otherwise can hold keen interest for listeners; (2) artists who are not always as well known to the public as musicians pushed by the bigger labels, musicians who are, nevertheless, of the highest calibre; and (3) sound quality of an excellence you wouldn't expect from a small, independent record company. This latest release, Russian Music for Cello & Piano, exemplifies everything that is good about Cedille. The program begins with the Sonata No. 2 in A minor for Cello and Piano by Nikolai Miaskovsky (1881-1950), which Miaskovsky completed in 1949 and dedicated to Mstislav Rostropovich. It's a lovely, lyrical, slightly melancholy, endlessly gracious piece of music, its three movements creating a single beguiling effect. After that is the Étude No. 8 for Piano Solo (1894) by Alexander Scriabin (1872-1915), here in a transcription for piano and cello. It is also gentle and faintly melancholy, representative, no doubt, of the deeply moody Russian soul. The Musica Nostalgica for Cello and Piano (1992) by Alfred Schnittke (1934-1998) comes next, a brief piece that pays tribute to the eighteen-century minuet form in a kind of tongue-in-cheek manner. The little Adagio from the ballet Cinderella (1945) by Sergei Prokofiev (1891-1953) follows, a waltz transcription the composer made himself. Finally, the program ends with the Sonata in G Minor for Cello and Piano (1901) by Sergei Rachmaninov (1873-1943), the longest work on the disc, its four movements thoughtful, complex, and expansive as Rachmaninov can often be. The Andante is particularly appealing. The performing duet of Wendy Warner on cello and Irina Nuzova on piano play as all good partnerships should, as one. In their case, it's almost as if one performer were playing both instruments, they are so attuned to one another's feeling and responses. The two women, who have been performing together as the WarnerNuzova cello and piano duo since 2008, play with style, with grace, with refinement, and with deep emotional attachment, yet always placing the music above any showmanship on their part. Most important, however, they appear to reach into the heart of this heart-wrenching music and convey its inner spirit with not only clarity and precision but with ultimate passion. They are consummate artists. Cedille, under producer James Ginsburg and engineer Bill Maylone, recorded the album in October, 2008. As always with this company, the results are realistically natural, warmly detailed, and profoundly satisfying. Also, Fantasia on Polish Airs, Op. 13 and Krakowiak (Grand Rondeau de Concert). Eldar Nebolsin, piano; Antoni Wit, Warsaw Philharmonic Orchestra. Naxos 8.572335. For practically as long as I can remember I've loved the Piano Concerto No. 1 in E minor, Op. 11, by Frederic Chopin (1810-1849). Not that I think it's the greatest music in the world, just among my favorite. Chopin was primarily a pianist and composer for the piano, so most of what he wrote was for solo piano. The orchestral accompaniment he provided for his two piano concertos can at times seem almost like an afterthought. No matter, with melodies so lovely and memorable. Perhaps, then, you can understand my bias in liking almost every recording of the Concerto that comes along, including this new one from pianist Eldar Nebolsin on Naxos. Not that it comes near to displacing my two absolute favorites, however: Pollini (EMI) and Argerich (EMI), or the several recordings in my collection from Rubinstein (RCA), Vasary (DG), and a newer one from Li (DG). Chopin wrote the Piano Concerto No. 1 within a year following his Piano Concerto No. 2 but published No. 1 first. So if No. 1 seems the more mature of the two, well, by a few months it actually is. Chopin described the second movement of No. 1 as "reviving in one's soul beautiful memories." In Chopin's case, he composed the piece when he was about nineteen or so and smitten at the time with a beautiful young student, Constantia Gladkowska, at the Warsaw Conservatory. Although he barely talked to her and she soon married somebody else, he probably had her in mind when he wrote both of his piano concertos, as well as a few other works. 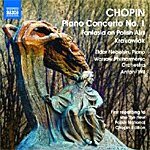 Of course, the piano parts dominate both piano concertos, the better to showcase Chopin's virtuosity with the instrument. Yet with the Piano Concerto No. 1, the piano doesn't even enter the picture until after a fairly lengthy orchestral introduction. Go figure. Maybe the composer intended the prolonged preamble to make the piano's entrance all the more grand. It certainly works that way. Anyhow, Wit and the Warsaw Philharmonic open big but not as dramatically as some conductors and orchestras do. Whatever, it sets a tone for the intimacy to follow in the main theme. Then Nebolsin enters about five minutes in and dominates the rest of the show. Nebolsin can be quite extrovert one moment and quietly introspective the next. Still, I rather missed some of the lyricism I've found in the interpretations of the aforementioned artists. Maybe it's partly the fault of the slightly billowy acoustic of the recording, but there isn't always the hauntingly ethereal quality to the first movement that other pianists have produced. Nevertheless, Nebolsin does create more tension and sheer excitement than most others invoke, which in part makes up for any lack of poetry elsewhere. Nebolsin actually seems more at home in the Romanza, where he caresses the keyboard lovingly. However, even here he seems a tad more interested in getting through to the end than in generating any feeling of delicacy in the music. Finally, Chopin appears to have added the last movement just to round out the piece, and it doesn't really contain his best work. It's a zippy little Rondo that at least Nebolsin and Wit have fun with. Coupled with the Piano Concerto we find Chopin's Fantasia on Polish Airs, Op. 13, which the composer wrote while he was still in school. It's in four short movements and, while generally charming, doesn't amount to much. The second movement Air is probably its most-delightful component, and Nebolsin makes the most of it. The program concludes with Krakowiak, Chopin's Grand Rondeau de Concert, another of the composer's early works for piano and orchestra that shows moments of brilliance. Certainly, it makes an appropriate teammate to Chopin's other early orchestral works with piano. The disc's sound is typical of most new Naxos releases, this one recorded in September, 2009, at the Warsaw Philharmonic Hall, Warsaw, Poland. We get a wide, warm, smooth image, somewhat soft and veiled, with the orchestral parts melding nicely but not revealing individual instruments so well. Except the piano, of course, which is considerably out front and center, appearing too large-scale for its accompaniment. Yet the piano sound is quite fetching, very natural and realistic in tone. Michael Gielen, SWR Baden-Baden and Freiburg Symphony Orchestra. Hanssler Classic CD 93.259. German composer and critic Robert Schumann (1810-1856) only wrote four symphonies, and he wrote them in a hurry, perhaps with the supreme self-confidence of knowing one's talent. Yet it seems doubly impressive when you consider how sick the man was most of his life. Even so, the symphonies have become staples of the Romantic repertoire. More important here, maestro Michael Gielen offers them up in fresh, exciting, dynamic style, making them come alive anew, old warhorses or not. Things begin with the Symphony No. 2 in C Major, Op. 61, which the composer wrote in 1845 after a fit of melancholy. You'd never know it. Gielen gets the music underway with a most energetic Allegro. In fact, it may be more sprightly than Schumann proposed, but Gielen certainly makes a good case for it. Although Gielen doesn't move the Scherzo along quite as fast, there is still much sparkle in it. Nevertheless, it is in the sublime Adagio that the conductor brings out the best in Schumann's poetic vision. Then the symphony ends in commanding fashion with a spirited finale, again with Gielen in full control. Schumann wrote his five-movement Symphony No. 3 in E Flat Major, Op. 97, "Rhenish," in 1850 in an apparent burst of enthusiasm after arriving with his wife and family in a new city, with a new job and new lodgings. Despite a mis-numbering of the symphonies somewhere along the way, his Third Symphony is actually his fourth and last symphonic work. It displays a greater maturity of themes, more creative tunes, and more-soaring rhapsodies than the Second. Gielen takes the opening motif and flies with it, making its familiar strains sound as grand and eloquent as ever before. The second-movement Scherzo creates a wonderfully light, breezy tone; the third movement a charmingly bucolic atmosphere; the fourth movement a stately and solemn mood; the work concluding on an entirely uplifting note. Gielen admits in the booklet note that he feels "being truly faithful to the composer's intentions on a higher plane means to change the score in order to clarify the shape and sense of the music." Whatever Gielen did to improve the music, it appears to have worked, as these are among the most-refreshing and invigorating interpretations one can find. The two symphony recordings derive from different sessions with the SWR Symphony Orchestra, the Symphony No. 2 from 2010 and the Symphony No. 3 from 2002. The Second Symphony, with its relatively close miking, exhibits a good deal of transparency and a fairly strong frequency range and impact. However, it is also a trifle bright and forward in the lower strings. The Third Symphony is slightly more distant, more recessed, yet smoother and more natural overall. 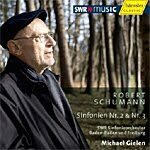 I'm not sure I'd want Gielen's recordings to displace my personal favorites in these works--Sawallisch and the Dresden Staatskapelle (EMI), Klemperer and the Philharmonia (EMI), Goodman and the Hanover Band (RCA), or Norrington and the London Classical Players (EMI)--but Gielen's performances can take a place among their company. They are quite lovely, moving, and lyrical. Concertos Nos. 1 and 2 for Cello and Orchestra. Also, Pereira: Concertino for Cello and String Orchestra. Antonio Meneses, cello/director; Northern Sinfonia. Avie AV2176. Franz Joseph Haydn (1732-1809) was one of those composers who could seemingly do no wrong. Even though we probably know him best today for his symphonies (he wrote 104 of them, after all), he succeeded in practically every other musical form as well, from chamber to vocal to concerto works. The two cello concertos we find here are good examples. According to the booklet note, the Cello Concerto No. 1 (1761-1765?) only came to light in the 1960's. 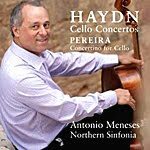 It is quite charming (which is a redundant statement, I know, in reference to Haydn), and cellist Antonio Meneses appears to take as much delight in it as his audience undoubtedly will. The Concerto No. 2 (1783) came to light in the 1950's, and as he did with its companion, Haydn wrote it in orthodox concerto style, with fast-slow-fast movements (allegro-adagio-allegro). The quick tempos are sprightly rather than tiring and together with the more-leisurely moments give Meneses plenty of room to demonstrate a range of emotions from sweet and light to seriously elegant. In between the two Haydn concertos the disc offers the Concertino for Cello and String Orchestra by Brazilian composer Clovis Pereira (b. 1932). The composer says he based the piece on "common Brazilian elements," including "modal scales only found in the music of the Mata Zone of north-eastern Brazil," as well as "melodies sung by the north-eastern 'cowboys' to calm their herds." Thus, we get a modern yet old-fashioned sounding concerto to set off the traditional, classical Haydn works. I had never heard the Pereira concerto before but found the opening movement original, the second movement gently romantic, and the closing Rondo rather festive. The Pereira piece makes an agreeable complement to the Haydn. 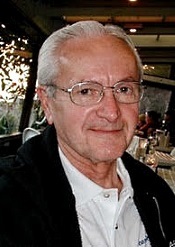 Avie's sound, recorded in 2009, is slightly close, the better to obtain the last possible iota of detail from Mr. Meneses's cello and the relatively small Northern Sinfonia ensemble spread out around him (and which he also directs). Even though the acoustic is tight, we never find any harshness or brightness in the sound (unless one's own speakers cause it). Instead, we get a smooth, rich, sharply etched sound that properly brings out the nuances of the music and provides pleasant demo fare for audiophiles seeking good midrange material. Naxos will offer more than 2000 products, including previously unavailable titles. London/Nashville: Naxos, one of the world's leading Classical music companies, and Warner Classics today announced a partnership for Naxos to distribute Warner Classic's audio content on CD in the United States. Beginning September 1st, Naxos will offer repertoire from Warner Classics, encompassing specialist titles on the Teldec, Das Alte Werk, Erato, and Warner Classics imprints, as well as the Lontano and Apex labels. As part of the agreement, Naxos will make available more than 2000 classical products, including a range of titles which are currently unavailable in the U.S.
Naxos of America's CEO, Jim Selby, commented, "At Naxos of America, Inc. we strive to partner with labels that have a mission similar to Naxos and our family of distributed labels and to provide services to our labels that enable them to grow and manage their businesses more effectively. Warner Classics and its imprints have decades of recorded history and we are excited and honored to be able to represent this fine label and its world-class artists." John Kelleher, Head of Warner Classics & Jazz, added "Naxos is widely recognized as one of the most expert Classical music companies and one of the largest independent CD distributors in the world. By harnessing Naxos' dedicated classical resources, this partnership will broaden the range of specialist titles we offer in the US and generate new commercial opportunities. At the same time, it enables Warner Classics to re-focus our efforts on growing our digital business in the region, as well as bolstering our A&R activities." Artists currently working with Warner Classics include recently signed young English violinist Charlie Siem, composer/pianist Joanna MacGregor, the Endellion String Quartet, Swiss violinist Rachel Kolly D'Alba, and New York based, Uruguayan-born, international conductor José Serebrier. Warner Classics' repertoire also includes recordings from many legends of the classical genre, such as the iconic Spanish tenors José Carreras and Plácido Domingo, Nobel Peace Prize-nominated conductor and pianist Daniel Barenboim, Austrian conductor Nikolaus Harnoncourt, renowned conductor William Christie, Dutch keyboard player and conductor Ton Koopman, veteran French organist Marie-Claire Alain, violinist Maxim Vengerov, cellist Mstislav Rostropovich, Korean soprano Sumi Jo, American soprano Susan Graham, San Francisco-based all-male vocal group Chanticleer, and pre-eminent American early music ensemble Boston Camerata. Jean Martinon, Paris Conservatoire Orchestra. HDTT HQCD202. 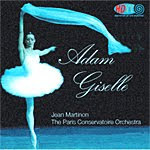 Giselle, by French composer Adophe Adam (1803-1856), has been a staple of the Romantic ballet repertoire for almost 170 years (Adam premiered it 1841), and it seems as though Martinon's recording of it has been THE classic interpretation for almost as long. Actually, Martinon recorded his version in 1958, and the recording was around on LP continuously until the disappearance of vinyl. Then it showed up on a budget-priced London-Decca "Weekend Classics" compact disc, which has also been out of the catalogue for some time. But now the recording is available again in this recent CD from HDTT. More about the sound in a moment. The story of Giselle has all the ingredients for great listening: a supernatural, melodramatic plot involving dead spirits and curses and such; a young hero and heroine in love; a cruel if not downright evil villainess; and an appropriately rousing yet sentimental finale. No one brought out the beauty or the excitement of this score better than Martinon and his thoroughly sympathetic group of French musicians. 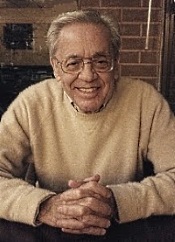 People have made many cuts, additions, and changes to the ballet's working score over the years, and Martinon chose to use for this recording the short, Busser edition. It is really no more than an extended highlights suite, but it suffices nicely. In fact, the shorter score is probably best of all for home listening. At about 47 minutes, it has not only the advantage of conciseness but of continuity, presenting the work's best and most well-known music in a seamless medley. Besides, it fits nicely on a single compact disc. For those requiring the full score, I can recommend Fistoulari's old recording with the LSO (Mercury) and Bonynge's with the Royal Opera House, Covent Garden (Decca), both in two-disc sets. They include almost every bit of music Adam ever wrote for the work, plus additional material he didn't write, and every possible repeat. However, in its longer form, much of it sounding like filler, the complete Giselle can quickly wear out its welcome. But not Martinon's performance, which is warm and sweet and sympathetic, and, as I say, has the advantage of presenting the best bits of the score and fitting easily on a single CD. Indeed, the only disadvantage of this HDTT edition is that we lose the couplings found on the "Weekend Classics" disc. For the person only interested in the very best interpretation of the music, though, the loss may be insignificant. 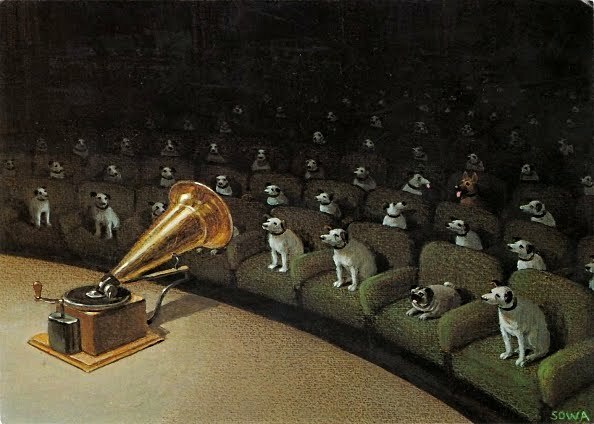 Now, let's turn our attention to the sound. HDTT (High Definition Tape Transfers) is a small audiophile company specializing mainly in transferring older recordings from commercially available reel-to-reel tapes to high-quality CD-R's. Their focus is to bring back some forgotten classical titles in audiophile sound and also to issue titles that no one has released in a long time. Fair enough. But imagine my surprise when the Giselle album arrived, and it said on the booklet cover that HDTT had transferred the sound from a vinyl LP! What? A compact disc with audiophile ambitions that simply duplicates the sound of a fifty-year-old long-playing record? The HDTT company admitted that it was an unusual move on their part, but with Giselle they apparently felt the LP offered better sound than the tape. Uh huh. My first impression before listening to the CD was one of skepticism bordering on outright incredulity. It sounded suspiciously to me as if somebody was trying to rip somebody off. Then I gave the disc a spin. The fact is, when Sony and Philips jointly introduced compact discs in the early Eighties, they promised a new world of sound, with digital bits duplicating every nuance of a master tape. Never happened. Many of us who had collected large LP record collections over the years were more than a little disappointed that the CD masterings of our favorite LP's didn't usually sound as good as the original LP's did. What many of us were willing to do, though, was put up with very slightly inferior sound for the distractions of the ticks and pops of even the quietest LP's. It seemed a fair trade-off. Then came high-definition CDs, things like XRCD, HDCD, K2HD, Superbit CD, etc., and the playing field started getting more even, with at least a few high-priced CD's beginning to sound as good as their LP counterparts. In the case of Martinon's Giselle, the London "Weekend Classics" CD had never sounded to my ears as vibrant, as clear, or, most important, as dynamic as the old LP version of it had. Now from HDTT we get what is essentially the old LP on CD. Would it sound as vibrant as the LP had? Yes. As clear? Yes. As dynamic? Yes. But would it be quiet? Amazingly, yes. Within reason. Is it the best sound I've ever heard from a compact disc? No. But it ain't too shabby. The fact is, the sound of the old Martinon analogue recording has always been every bit as good as that of most new digital releases. Perhaps it loses something in natural tonal balance and depth perception compared to today's very best efforts, but its frequency range, transient impact, breadth, and clarity are still first-rate. On the HDTT disc, tape hiss and surface noise from the LP is minimal, too, and should present no problem except to those shortsighted listeners who still cannot get beyond the letters "DDD" on every record they buy. And either HDTT got hold of the most-pristine LP copy of the music on the face of the planet, or they did a little number on it with their noise-reduction software. Compared to the "Weekend Classics" CD, the new HDTT transfer packs more punch and adds a little more sparkle. The other comparison I made was to the Fistoulari/Mercury recording made around the same time (1959). Here, I thought the Mercury sound was a touch cleaner and more transparent and the stage depth more pronounced. But, again, the HDTT sonics had the greater impact. And there's just no getting by Martinon's performance. The costs of these things seem reasonable when you consider how good they sound (regardless of how you feel about the source) and when you remember that at the moment the HDTT is the only CD version of the Martinon recording available new. Oh, and for buyers worrying about copyright laws and whether HDTT is infringing on them, the company states on their Web site that they thoroughly research all the material they remaster to be sure it's in the public domain. So, yeah, everything is perfectly legal and aboveboard. Simon Rattle, Berlin Philharmonic Orchestra. EMI 0946 3 84723 2. Like most conductors and record companies, Sir Simon Rattle and EMI continue to record much of their new material live. I suppose it has to do with finances, studio time being so expensive these days, although the artists would probably claim it has to do with capturing the spirit of the moment and all. Maybe, but you can't blame the companies involved for wanting to get live audiences to subsidize their recorded performances. Oh, well, it does no serious harm. The sound is still all right, and you don't hear a noise from the listeners. EMI have even edited out the applause at the end, thankfully. Still, I couldn't help feeling that multiple run-throughs in the studio and subsequent judicious edits might have resulted in a more satisfying performance. Anton Bruckner's Fourth Symphony was his first really successful big-scale work, but it didn't come easy. His first three symphonies were greeted with a lukewarm response, and it took him over half a dozen years to revise and work out the Fourth. Fortunately, when he did finally premiere it 1881, the public loved it, as listeners have loved it ever since. Bruckner himself nicknamed it "Romantic," and it became Bruckner's only program symphony. The composer tells us what each movement is supposed to represent, from knights riding out of a medieval castle at dawn to the sounds of the forest and birds, to a hunt, complete with horn calls, finally culminating in brilliant summary. 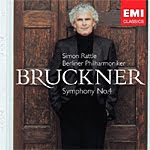 The symphony easily communicates a grandeur and nobility of spirit, and Bruckner was, above all, a profoundly spiritual man, his music clearly illustrating this spirituality. I wish I could say that Rattle's reading expresses all of Bruckner's spiritual fervor and picturesque tone painting, but, alas, for me it accomplishes only half the job. The first movement, with its knights galloping out into the mists, moved me not at all. In fact, I found it somewhat dull, not because Rattle takes it any slower than some other conductors but because he seems to be consciously trying too hard to make the music seem exalted, which the music can nicely do on its own, thank you. That goes for the second movement, Bruckner's tribute to Wagner's "Forest Murmurs," which under Rattle seems simply to go on forever. But then things pick up in the delightful Scherzo hunt, which contains genuine excitement, followed by a magnificently shaped Finale. So, perhaps if you don't mind half a great performance, or if you just love Rattle, you might be interested in this new release. Also, Chaconne in D minor. Vassily Sinaisky, Malmo Symphony Orchestra. Naxos 8.52119. We don't often hear much anymore of Austrian cellist, pianist, and composer Franz Schmidt (1874-1939). He was apparently popular enough in his day, but times change, and the fickle ways of modern twentieth-century music probably did him in with contemporary audiences who found him too old-fashioned for their taste. In my opinion, the fellow's music simply doesn't have enough imaginative spark or memorable tunes going for it. Who knows. Schmidt's Symphony No. 3 (1928) won first prize in his corner of the world for the best symphony written in the spirit of Franz Schubert's "Unfinished" Symphony, the contest a part of the commemoration of Schubert's death a hundred years earlier. 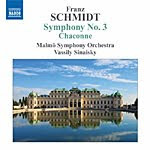 Schmidt's Third Symphony sounds vaguely Schubertian in its lyrical melodies, without imitating the man's music in any overt way. The problem with Schmidt's Symphony, though, is that while its melodies are, indeed, flowing and songlike, they aren't very remarkable. The opening movement, for instance, sounds like a bunch of pretty notes, not amounting to much. The Adagio appears gloomier than anything Schubert ever wrote, and as a set of variations, it really doesn't come out too varied. I am sure it is through no fault of maestro Vassily Sinaisky or his Swedish orchestra that the music progresses with so vague and distant a mood. It seems to have been Schmidt's intent, perhaps as a lament for Schubert. The Scherzo seems closest to Schubert's delightful verve, yet even here there is an underlying melancholy to the movement. It exudes the flavor of a bouncy, upbeat country dance that never quite catches fire. The final movement, an Allegro vivace (though certainly only in part), displays Schmidt's greatest invention. It begins slowly, taking its time introducing its subject, and then segues into a sprightly middle section that Sinaisky moves forward at an appropriately steady yet invigorating pace. I'd say the conductor and orchestra inject about as much life into the work as it can sustain without its being jostled out of shape. While I found the Symphony No. 3 mostly tedious, I rather enjoyed Schmidt's Chaconne in D minor. The composer wrote the work for solo organ in 1925, orchestrated it in 1931, and premiered it with the Vienna Philharmonic in 1933. It is a lovely, often delicate, often powerful piece of music, with pastoral overtones alternately giving way to marchlike segments. Here, Sinaisky is at his best, maintaining a vigorous, pleasant rhythm and creating an engaging atmosphere. The sound on the album is typical of Naxos. Recorded in 2008 (Symphony No. 3) and 2009 (Chaconne), it's fine, inoffensive, and wholly nondescript. It does its job and no more. The tonal balance is reasonably smooth, yet the frequencies seem cut off at the top and bottom ends. The strings tend to shrillness when pressed too hard, the stage has almost no depth, and the whole affair is without much transparency or sparkle. What we do get is a big, flat, limited aural response that does little to hinder the music but not much to flatter it, either. Hilary Hahn, violin; Vasily Petrenko, Royal Liverpool Philharmonic Orchestra. DG 028947787778. 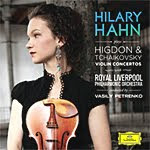 DG will release "Hilary Hahn Plays Higdon & Tchaikovsky" on September 21, and this is an early review. When somebody writes a piece of serious music just for you, you'd do well to show your appreciation. In the case of violinist Hilary Hahn, one of her old music professors, Grammy and Pulitzer Prize-winning composer Jennifer Higdon, wrote and dedicated a violin concerto especially for her, and Ms. Hahn returned the favor in this world-première recording of it. Ms. Hahn pairs the Higdon Violin Concerto with the Tchaikovsky Violin Concerto in part to do something she's done before--compare and contrast music from two different eras--and, no doubt, to hedge her bets by giving potential buyers a popular warhorse to help sell the album. In any case, the two works make fascinating listening. The program begins with Higdon's Violin Concerto, for which the composer won a 2010 Pulitzer Prize in Music. Ms. Higdon titled the first movement "1726," which seems pretty mystifying until you understand that she gave it that title because it's the street address of the Curtis Institute of Music, where she first met Ms. Hahn. Fair enough. The movement begins with a hauntingly lithe, almost spooky, little introduction that leads to a lusher, almost Romantic melody, which in turn gives way to a lively, vibrant tune, accompanied by a good deal of percussion. That's quite a lot to cram into a single movement, but in the end the movement is more or less a traditional Allegro with modern trimmings, arresting at least in parts and ending the way it came in. The composer patterned the slow second movement, which she titled "Chaconni," after the Baroque chaconne, a musical form based on continuous variations in a series of chords. It's a pleasant moment of repose, reminiscent of the music of English composer Frederick Delius in its sweetly flowing rhythms. The final movement, titled "Fly Forward," is the easiest to figure out. Ms. Higdon is urging her former pupil to even greater heights of musical interpretation and exploration. It's the most-ambitious part of the Concerto, and Ms. Hahn handles it with her usual virtuosity. I wasn't entirely sure how Ms. Hahn would handle the rather brawny, muscular Tchaikovsky Violin Concerto, however. Not that I should have worried, as she is fully capable of meeting any challenge, the Tchaikovsky being no different from any other. While her reading is a tad disappointing in overall bravura, it is a thoughtful one. For instance, you might find her performance more sensitive than that of some of her rivals. Indeed, in the familiar opening movement she and maestro Vasily Petrenko seem determined not to leave an audience breathless with excitement but, instead, captivated by flavor and atmosphere. Then they evoke an appropriate degree of Russian melancholy in the Andante and close the show with a big, spirited Finale, as though they were saving all their energy for the last rounds. All's well that ends well. DG's sound is warm and full, not always as transparent as it could be during full orchestral segments but serving the soloist and individual instruments well enough. The engineers at DG always do up wide dynamics well, too, and this is no exception. Still, the overall focus is slightly soft and one dimensional, with the bass somewhat light. Fortunately, the abundance of delicate, tinkly sounds in the Hidgon piece come through nicely, and they are perhaps the highlight of the disc's sonics. Music of Glinka, Mussorgsky, and Borodin. Sir Georg Solti, London Symphony Orchestra and Chorus. LIM K2HD 043. Back in the glory days of audiophiledom, the late Sixties to the late Eighties, before home theater, 5.1 surround sound, and digital everything, things were different. Independent hi-fi shops thrived, the major record companies released dozens of new recordings each month from the world's top orchestras, and superstar conductors ruled. Among these star conductors were Leonard Bernstein, Eugene Ormandy, Bernard Haitink, Herbert von Karajan, Otto Klemperer, Sir Neville Marriner, Andre Previn, Leopold Stokowski, and the subject of our review today, maybe the biggest star of them all, Sir Georg Solti. These conductors almost never failed to provide the listener with fun and excitement aplenty, and the record companies often recorded them spectacularly. Especially Decca and their superstar, Solti, be it with the Vienna Philharmonic, the Chicago Symphony, the Paris Conservatory Orchestra, or here with the London Symphony. 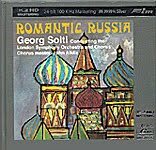 So, I greatly looked forward to hearing what one of our own day's audiophile record companies, FIM/LIM, could do remastering an old favorite album of mine, Solti's Romantic Russia. The program, recorded in 1966, includes some of the best performances available in the popular Russian repertoire. Solti was at the top of his form in the rousing opening number, Mikhail Glinka's Russlan and Ludmila overture, as stirring and energetic an interpretation as any ever made. Indeed, it's a wonder the LSO strings didn't either catch fire and burn or simply snap off the instruments, the affair is so impassioned. Then comes Modest Mussorgsky's prelude to Khovanshchina, a calm respite from the rigors of the preceding track. Still, the centerpiece of the album is Mussorgsky's Night on the Bare Mountain, in the arrangement by Nikolai Rimsky-Korsakov that people most commonly hear on record. Of course, many nonclassical fans probably know the piece from Leopold Stokowski's arrangement in Disney's Fantasia, but that's neither here nor there. Solti goes with the Rimsky-Korsakov adaptation, as scary and evocative in its first half and delicate and serene in its conclusion as any other. I've always thought Solti's reading was one of the most-powerful ever recorded, making this Witches' Sabbath of evil spirits a truly frightening and wholly exhilarating experience. The program concludes with Alexander Borodin's Prince Igor overture and "Polovtsian Dances" in renderings perhaps only surpassed by Sir Thomas Beecham's (EMI). In the "Dances," the LSO chorus help Solti out with some thrilling singing. Again, Solti whips up a frenzy, yet he never overlooks the more-sensitive moments of the score. I count this disc, along with Solti's Mahler and Wagner, as one of the high points of his long recording career. Now, to the LIM remastering. Way back when I first bought the music on LP, the sound always struck me as more than a bit forward and harsh. When Decca first transferred it to CD, the sound appeared a little smoother but still somewhat glassy. In the later CD, which I had on hand for this comparison--a 96 kHz, 24-bit digital remaster from the late Nineties that Decca issued in their "Legends" series--the sound was better than ever, milder and warmer. But this new K2 HD remastering from LIM is in a class of its own. First, I listened through the entire LIM album (LIM is a label of FIM, First Impression Music), remastered in LIM's elaborately advanced K2 HD format (a 24-bit, 100K Hz mastering process on 99.9999% silver), and what I heard pleased me no end. Then I put the older, Decca disc in another player and started comparing the two albums side by side. This time the LIM disc not only pleased me, it practically overwhelmed me. You have to understand that the Decca engineers captured a wide-ranging sound here, with a broad stereo spread and reasonably good stage depth, which both discs reproduce well enough. But on the Decca disc the upper strings that I thought were smoother than ever sounded more shrill than on the LIM disc, while the overall Decca response sounded consistently softer. On the LIM disc, I heard more detail than on the Decca, without being bright or edgy. I heard a better, quicker transient response; a greater dynamic impact, especially in the percussion; a better balance among the frequencies; better transparency in the midrange; and more dimensionality. It even seemed that the LIM sound was wider across the sound stage, something that surely must have been my imagination, but who cares how it works. Two notes, though, before closing: With the LIM you pay a high price for quality sound, and you don't get the added music Decca put on their regular CD, Solti's 1956 rendering of Tchaikovsky's Second Symphony, a somewhat quirky but sympathetic work, full of life. What you do get with the LIM remastering besides the improved sound is some of the company's most stunningly beautiful packaging. Like most of FIM/LIM's releases, this one comes in a hardbound foldout container, like a book, with bound booklet notes, an inner sleeve for the disc, and a protective liner for the disc as well. But unlike some of FIM/LIM's early designs that featured a cutout front, this one uses a solid, glossy front cover, richly illustrated with the Decca album's original art work. Interestingly, the packaging is thinner, too, a welcome benefit for a crowded shelf. Also, Capriccio Italien. Christoph Poppen, Deutsche Radio Philharmonic. Oehms Classics OC 760. You don't hear Tchaikovsky's Symphony No. 1 "Winter Daydreams" too often. Come to think of it, you don't hear any of the composer's first three symphonies very much, at least not on disc. I suspect his final three symphonies so overshadow the first three, we get a whole lot more recordings of Nos. 4-6. In any case, Peter Tchaikovsky (1840-1893) began working on his First Symphony in 1866, premiered it in 1868, and then continued fussing with it for the next twenty-two years before it satisfied him. Tchaikovsky subtitled the first movement "Dreams of a Winter Journey." This is probably the most quintessentially "Russian" sounding part of the work. It begins tranquilly enough and then apparently the journey gets progressively more difficult because the music gets more frenetic before subsiding into a relative calm. Although maestro Poppen attempts to make it a happier journey than Tchaikovsky likely intended, it comes off in good spirits. One shouldn't take the subtitle of the second movement Adagio, "Land of Desolation, Land of Mists," too literally. Tchaikovsky probably meant the secondary title to represent a state of mind, the fellow himself being a rather depressed sort. Certainly, he wouldn't have referred to his own mother country as a land of desolation. 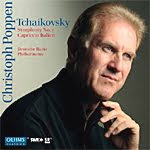 Be that as it may, Poppen brings out most of the old Russian melody the composer used, though I missed some of the Russian soul (or Tchaikovsky anguish) in the music. Tchaikovsky gave no subtitles for the Scherzo or Finale. Maybe by the time he finally completed the work, he didn't care anymore or thought subtitles immature. Whatever, Poppen plays up the Scherzo's similarities to the composer's later ballets and waltzes, and the movement never takes on a life of its own. Based on another Russian folk song, "Flowers Bloom," the Finale closes in traditional fashion, with big contrasting themes to bring it to a thunderous conclusion. Again, Poppen does his best yet never quite injects as much life into the music as I've heard from a few other conductors, like Haitink, Jansons, Leaper, Markevitch, Muti, Pletnev, and Rostropovich. While Poppen's relatively matter-of-fact reading of the Symphony No. 1 didn't exactly create the reverie or excitement I'd hoped for, he does develop an adequate degree of animation and color in the Capriccio Italien (1890). A visit to Italy inspired Tchaikovsky to write the piece, and the music has been a fan favorite ever since. Under Poppen one can see why--it's invigorating, flavorful, spirited, and dynamic. These recordings from Oehms Classics derive from live sessions in 2007 (Symphony) and 2009 (Capriccio), and they sound like it. The recordings are fairly close, presumably to minimize audience noise, but it doesn't entirely help. Any time there's a lull in the music, we hear people lightly coughing, wheezing, or shuffling their feet. Then, at the end of each work, there is an unfortunate outburst of applause to spoil the mood. Apart from that, the sonics are fine. Although there isn't a lot of stage depth involved, the stereo spread is certainly wide enough. Midrange is modestly clean and silky smooth, and impact is respectable, while bass and treble might have benefited from a greater extension. In short, these are warm, resonant, useful, if slightly prosaic, recordings. The Sinfonia Concertante, K. 364, from 1779 was the final string concerto Mozart wrote. Siblings Lara and Scott St. John pair up on violin and viola to perform it, with the chamber ensemble The Knights providing a lively support. Ancalogon's press release tells us that the Sinfonia "is rarely recorded in its original form, with the viola part in scordatura (with open strings tuned a semi-tone higher than standard tuning. Scott St. John takes up the viola to join his sister on the recording, making this the first time the Sinfonia Concertante has ever been recorded by siblings." Well, close enough: David Oistrakh and his son Igor paired up for a 1963 Decca recording, so at least something like the idea isn't new. What's really new is the St. Johns' take on the music. Yes, almost the first thing one notices about all three performances on this disc is their liveliness, helped by tempos that are quicker than one usually hears yet never rushed or hurried. Then, too, in the Sinfonia we get a wonderful interplay between the slightly dominant, higher-pitched violin and the more-resonant viola, an interplay that is always a delight. The playing by both soloists is of the utmost refinement and grace, even proceeding through the movements at as spirited a pace as they do. There is a lovely purity of tone everywhere enabling the two soloists continually to reinforce one another. The St. Johns take their turns as soloists in the Violin Concertos Nos. 1 and 3 (1975), Scott St. John soloing on violin in No. 1 and Lara St. John soloing in No. 3. Just as important as the sprightly tempos, the smooth, fluid rhythms contribute to the playing's overall success. You'll find nary an awkward pause, a faulty interruption, or a questionable change-up in any of the readings. Everything flows in faultless lines from beginning to end, with a lighthearted, good-natured air about all of it. I found these among the most-pleasurable performances I've heard in months of some of the most-pleasurable music ever written. By comparison, the St. Johns make many other interpretaters of this music sound positively pedestrian. Now, far be it from me to contribute to any sibling rivalry by daring to suggest a favorite here. So just let me assure you that both St. Johns play with virtuosic confidence and make their instruments sing most eloquently. Ancalogaon sound engineer Martha de Francisco recorded the music in multichannel at the Academy of Arts and Letters, New York City, on April 2-4, 2010. The SACD plays back in 5.0 channels on suitable equipment and in 2.0 on a regular CD machine. In the two-channel stereo mode I listened to, the sound is very clear and clean, without being in any way bright or forward. There is an excellent focus and definition, with the solo parts relatively close but never in our laps, the accompaniment well laid out around and behind the soloists. While there might have been a little more depth involved for my taste, the left-to-right stereo spread is splendid. This is also an extremely well balanced recording, with a fine upper bass warmth that never interferes with midrange transparency. One oddity, though: The album cover (pictured above) announces the composer and the players but not a word about what's on the disc. I'm not sure how good an idea that was. Also, Serenata Notturna. Sir Neville Marriner, Academy of St. Martin-in-the-Fields. First Impression Music FIM XR24 071. After listening to the first track on this disc, the Divertimento in D, K. 136, and picking my jaw up off the floor, I turned to the booklet note, where the XRCD's producer, Winston Ma, says "I consider the string tone and nuance of this recording the best from my entire collection, including all other labels." This is not just hyperbole. I found the disc perhaps the best recording of a small chamber orchestra I can ever remember hearing. Be forewarned, however: The recording is fairly close. If your speakers are at all forward or bright, you might not appreciate what you get. On my VMPS RM40's, the sound is delicious. Of course, for any remastering like this one to sound good, the engineers have to start with good source material, and here is one of the ingredients of the present success. If you're old enough to remember the excitement Neville Marriner generated back in the Sixties and early Seventies with his Academy of St. Martin-in-the-Fields recordings of early music--done before the period-instruments crowd popularized their take on the subject--you'll feel some of that excitement again in this FIM recording. Marriner recorded the Divertimenti and the Serenata Notturna in 1968 and issued them on the Argo label, the home of so many fine recordings that still sound as good today as they did back then. Only in this case, they can sound even better. Mozart filled his Divertimenti with a youthful exuberance, an exuberance appropriate to the composer's age when he wrote them, sixteen, although they are by no means immature works. They are light and airy, to be sure, scored entirely for strings, but they have immense gravitas, too. Besides, by Mozart's reckoning, a fellow who started writing music when he was in the womb, sixteen was practically middle age. The Serenata Nocturna, written four years after the Divertimenti, adds a few march tempos to the proceedings and delights in using what is essentially a string quartet supported by a small string ensemble and muted tympani. The result is startlingly innovative and endlessly brilliant, with Marriner and the Academy playing it with all the spit and polish for which we know them. FIM does up the recording in the 24-bit XRCD process developed by JVC, a technology so precise and so exacting it makes the formulas for string theory seem crude by comparison. Not that the source material doesn't sound good even in its regular CD release; it's just that this FIM remastering sounds that little bit better in terms of dynamics and transparency. Needless to say, however, you pay a heavy price for an XRCD and its elaborate packaging, a cost that would buy you a half dozen budget-priced CD's; but one listen to this disc through a good stereo system, and you'll see why the price may be worth it. Christiane Oelze, soprano; Markus Stenz, Gurzenich Orchestra Koln. Oehms Classics OC 649. For the past forty years or so we've seen as many or more recordings of Austrian composer Gustav Mahler (1860-1911) than practically anyone else. Why the popularity, especially of his First and Fourth Symphonies? I don't know, but everybody has a guess. I'd say it's because Mahler's music is so accessible, so tuneful, yet so mature. Just as important, his music is big, the man composing for huge orchestras; and his music is varied, from grand, eloquent sections to quiet, intimate passages, from deadly serious to mischievously satiric. No doubt, too, a lot of folks have discovered that Mahler's music is one heck of a great way to show off a stereo system. 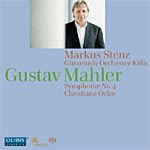 In any case, Mahler is back, this time his Fourth Symphony (1900) with maestro Markus Stenz and the Gurzenich Orchestra Koln on a hybrid stereo/multichannel Oehms Classics Super Analogue Compact Disc. Stenz shows us from the outset that we are going to be in for an interpretation of strong contrasts. The first movement, which Mahler marked as "gay, deliberate, and leisurely," begins with the jingling of sleigh bells, which the conductor takes very gently, very softly, very slowly, building quickly to a mild frenzy before letting it subside into relative calm. The music certainly justifies the change-ups in mood and tempo, and the result is the carefree cheerfulness I'm sure Mahler intended. Bruno Walter, the conductor who probably helped popularize Mahler more than anybody else, once wrote of the Fourth Symphony that the composer "assures himself and us of a sheltered security in the sublime and serene dream of a heavenly life." Stenz sees it mostly this way, too. The second movement introduces Death into the scene, with a vaguely sinister violin motive. Stenz ensures that the character of the music is never actually threatening, however. It is more playful than most other interpretations and certainly not at all menacing. Then comes the slow, third-movement Adagio, marked "peacefully," a kind of respite from the oddities of Mr. Death in the previous section. Stenz handles it as "peacefully" as I have ever heard it done, again demonstrating his unexaggerated tendency to contrasts. All of this is build up, of course, to the fourth and final movement, Mahler's vision of heaven as exemplified in the simple innocence of an old Bavarian folk song, a part of the German folk-poem collection Das Knaben Wunderhorn that Mahler so favored. Indeed, Mahler wanted this movement to sound so unaffected he insisted upon the soprano's part being sung with "child-like bright expression, always without parody." This doesn't mean, though, that Stenz doesn't see some irony in the closing statement, especially when Mahler has it fading into silence. Does the silence symbolize the rapture and ecstasy of eternal heavenly bliss, or does it also suggest nothingness? A contradiction to the end. In any case, the last movement is the only one that struck me as slightly out of character, the soprano, Christiane Oelze, seeming a little more sedate and mature than the naive innocent Mahler describes. Still, it's a quibble. This is a lovely rendering all the way around. The sound, recorded in the Kolner Philharmonie in 2009, is beautifully smooth and detailed, with more than adequate stage depth in the two-channel stereo mode I experienced. Although dynamics are a trifle soft, on the few occasions when the orchestra produces a deep bass note, everything comes across most authoritatively. The more one listens, the more one recognizes how very natural this recording sounds, as though one were actually in the hall with the musicians. Everything about the disc seems to work in harmony with everything else. Also, Harpsichord Concertos in D minor & F minor, BWV 1052 & 1056; Violin Concerto in D minor, BWV 1052. Jeannette Sorrell, Apollo's Fire Baroque Orchestra. Avie AV2207 (2-disc set). If Bach's six Brandenburg Concertos sound significantly different from each other, it's because the composer never meant them to be a cohesive group. Margrave Christian Ludwig of Brandenburg commissioned Bach to write several pieces for him, and what he got several years later was a collection of six works for various-sized ensembles and various solo instruments that Bach had composed at various times for various other occasions. In any case, for whatever reason the Margrave ignored the concertos; more's the loss for him. Concerto No. 1, one of the longest and largest of the set, is my least favorite. Nevertheless, Jeannette Sorrell and her band of period-instruments players, Apollo's Fire, adopt some sensibly moderate tempos for the fast movements and handle the slower central movements with grace, creating a most-pleasing effect. There is no craziness here with the orchestra attempting to beat their rivals out the door with the speed of the performance. Concerto No. 2, one of the most famous (or most popular) of the pieces, highlights the trumpet, which gets some good playing time in. Unlike some other recordings, this one does not put the trumpet in our laps, however, nor does Sorrell attempt to gallop through it in record time. Instead, we get a refined, polished interpretation, with just enough zest to keep the fires lit. While it is not the zippiest of performances, it never lags, either, and generally strikes a happy balance. Audiences may know Concerto No. 3 as well as they know No. 2, maybe even more so. Here, it comes off with a sense of cultured ease. Everything flows smoothly, even gently. In this one Bach intended to showcase each of the string players, with an inspired second movement that Apollo's Fire handles beautifully. Concerto No. 4 features the violin and two flutes in a playful combination of virtuosity. Even though Sorrell and her group might have provided a little more spark in the concluding Presto, the work as a whole strikes one as spirited fun. Concerto No. 5 is a personal favorite of mine, and I'm happy to report that Apollo's Fire does it proud. Again, you won't find this the most robust or invigorating reading, but it possesses elegance and charm in abundance, with an especially delightful lilt in the final Allegro. Concerto No. 6 struck me as one of the nicest renderings of the lot, with just enough energy to excite the senses, without seeming rushed. The first five concertos occupy disc one, leaving plenty of room on disc two for accompanying material. The fill-ups include, appropriately, two harpsichord concertos (Ms. Sorrell being a harpsichordist herself), BWV 1052 and 1056, and the Violin Concerto in D, BWV 1052, a reconstruction based on the Harpsichord Concerto in D, BWV 1052. The soloist in the Violin Concerto, Elisabeth Wallfisch, made her own adaptation based on a reconstruction published in the Neue Bach Ausgabe. Play the two BWV 1052's side by side and you'll see how close they are. 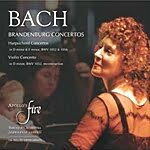 The Brandenburg performances, originally recorded in 1999-2000 and issued on the Eclectra label, sometimes sound very slightly opaque, a little thick, given the relatively few players involved, although at other times they sound quite lucid (and at no time disagreeable). Most important, the sound displays a warm, ambient glow that tends to temper the tone of the period instruments. The other items in the set derive from 2002-2005 recording sessions, and they sound equally well recorded, even if the sonics are a trifle thinner. In all, this is an easily accessible, appealingly attractive set of Brandenburgs, with enough attendant music to make the two-disc set an attractive buy.